Bridal latest Mehndi dresses Collection 2018-19 for Pakistani women. Girls are you ready? To wear bridal latest mehndi dresses for women. As we know that in the marriage ceremony there are many different programs organized. In Pakistan, there are different wedding function include Engagement, Dholki, Mehndi function, Barat, Nikah, Rukhsati, and walima. All of the given programs has its own significance importance and fun. Furthermore, among all of these wedding functions, Mehndi is considered as a very important function for Bridal and Groom. Furthermore, Mehndi is the night of dancing enjoying and receiving best wishes from friends, relatives. If we see at traditional mehndi events it is organized separately, but in the modern period, both families of bride and groom arrange mehndi function together. Due to, arranging to combine family mehndi function both of the families can enjoy the entire ceremony rather than “Mehndi Ceremony”. furthermore, If we see in the past decade there was no concept to wear any special dresses for the mehndi ceremony. In addition, On the other hand, due to changing faction trends bridal latest mehndi dresses 2018 for mehndi event gained huge popularity. And also with combinations of different colors. Many preparations are required to do a best Mehndi event that included the announcement of a color theme. 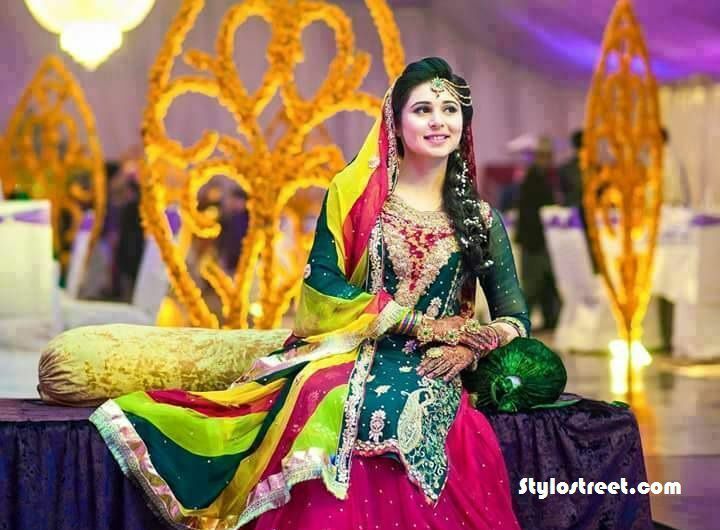 Moreover, All the guests have to dress up according to the color theme of Mehndi function. This year Pakistani fashion designers lunch new bridal Mehndi dresses that are increasing their popularity in the whole world. 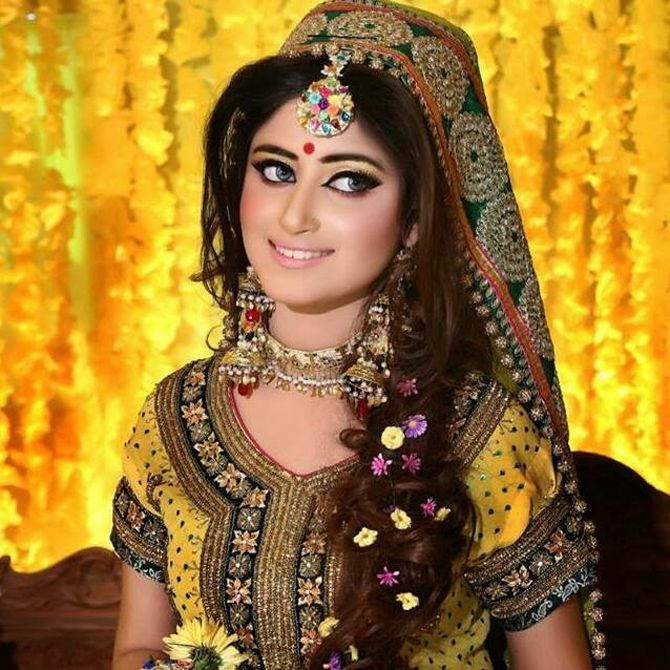 In conclusion, Fashion trends are changing day by day and you can see many changes in the Bridal mehndi dresses into upcoming mehndi functions. You can buy these dresses at an affordable price.